Lord Kaala Bhairava is that manifestation of Lord Siva who oversees the march of time and is the guardian deity of the Temple. He is therefore called 'Kshetrapalaka'. It is the custom that the keys of the temple are submitted to sri Bhairava after the pujas are completed for the day and again taken from him the next morning before the opening. 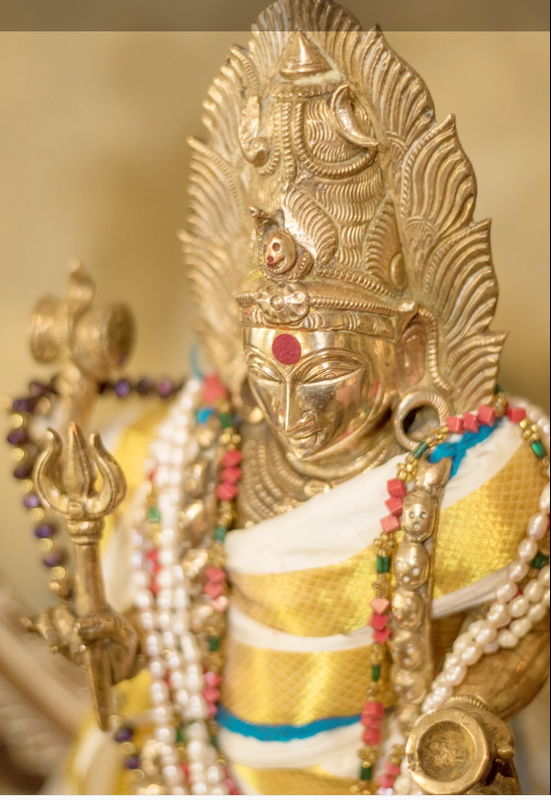 As the guardian deity he is also worshipped after any of the festivals at the temple. Those who tend to fritter away their time on many a trivial pursuit should pray sincerely to Lord Kaala Bhairava if they want to improve their time management skills and use their time intelligently. Lord Kaala Bhairva installation at the parashakthi temple happened in a spiritually charged atmosphere with Dr Kumar leading the chanting of mantra for sri Kaala Bhairva on Aug 3rd, 2003. His energy is intenely manifest at our Temple.